Evening attire has never looked better, especially in this dramatically sophisticated wine maxi dress by Stephanie Pratt. You’ll not only look amazing, but you’ll feel like a million dollars in this phenomenal sparkly sequined dress. Its halter neck style and keyhole cut out bring edgy sexiness to this magnificent celebrity styled long gown. 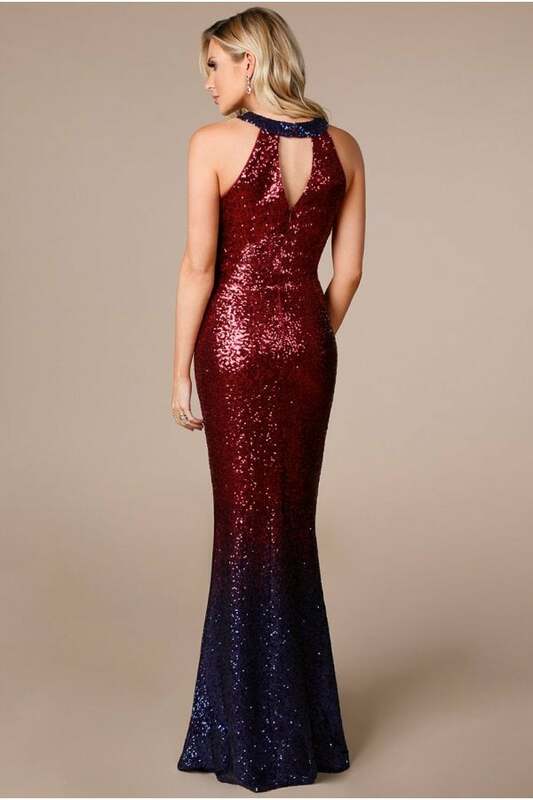 While its all over sequined two-toned finish delivers an irresistibly breath-taking style to this beautiful long gown. Leave a trail of sparkle where ever you go wearing this electrifying one of a kind gorgeous floor length dress. The ultimate key piece to have you winning the best dressed at any evening event, special occasion. 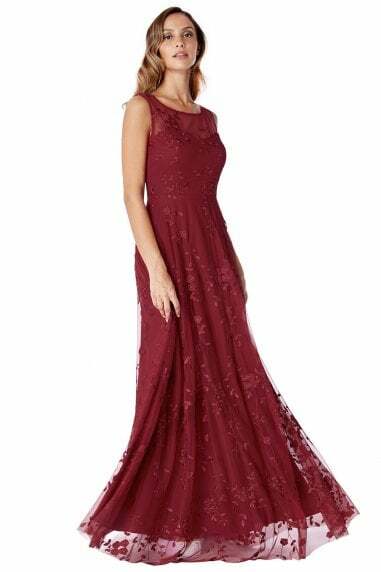 Perfect for black tie events, weddings, even to have outstanding styled bridesmaids, this evening dress is more than just your typical evening dress. To get the look complete, style with studded earrings, understated heels and a matching clutch bag.